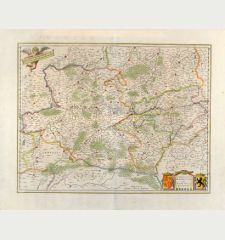 Coloured map of Swabia, Baden-Württemberg. 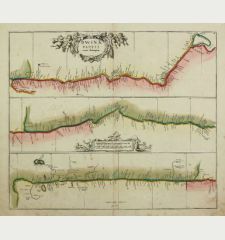 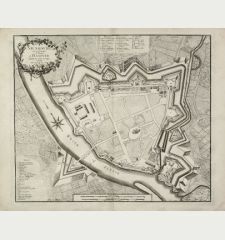 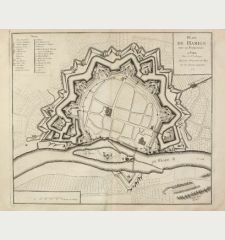 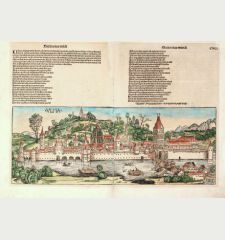 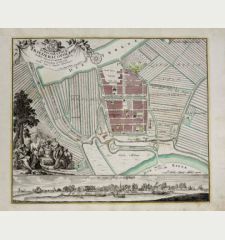 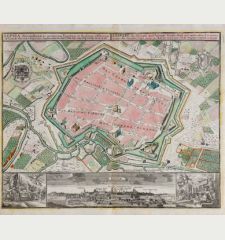 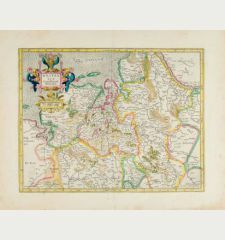 Printed in Amsterdam by Janssonius circa 1640. 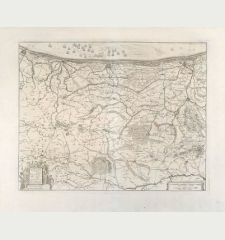 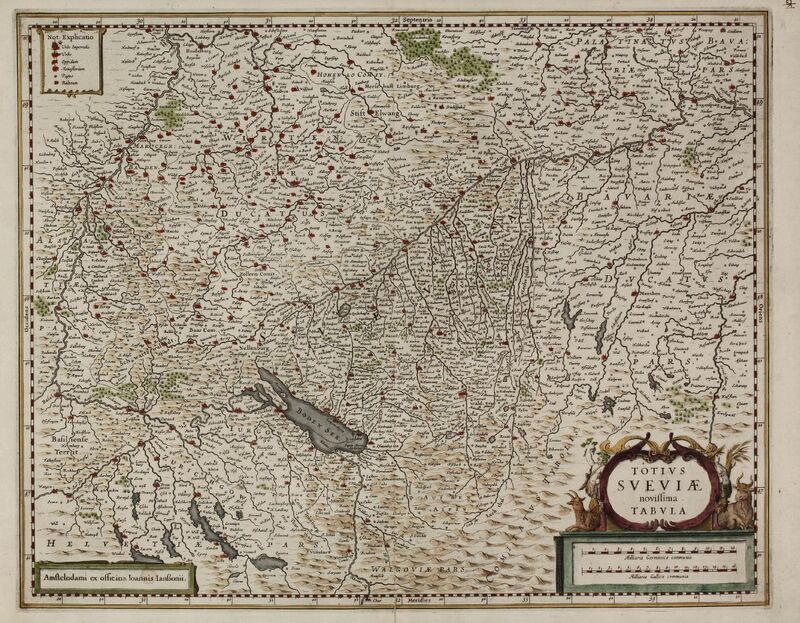 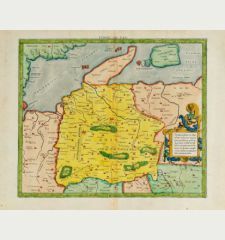 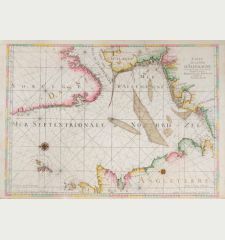 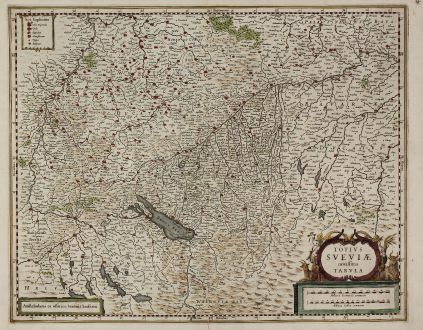 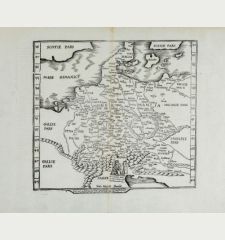 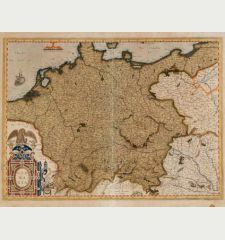 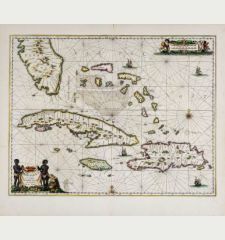 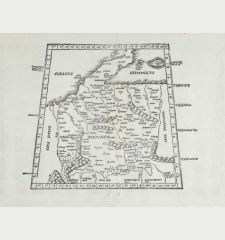 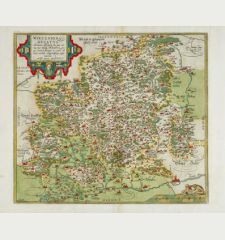 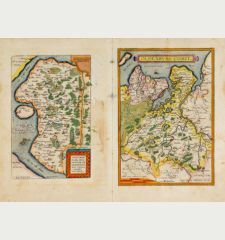 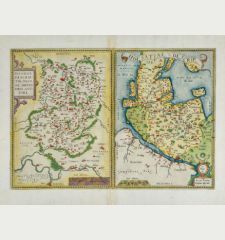 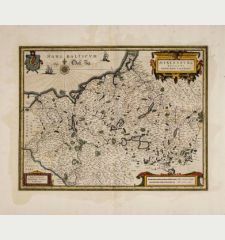 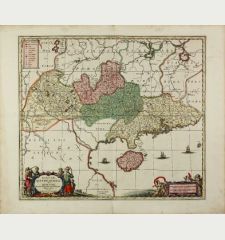 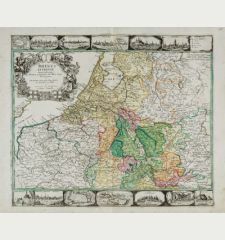 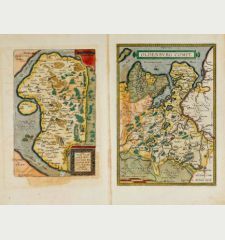 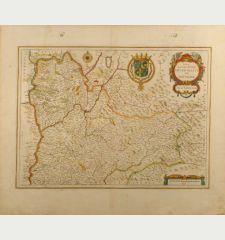 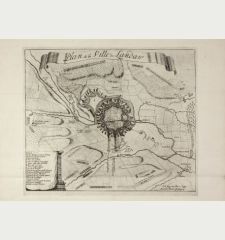 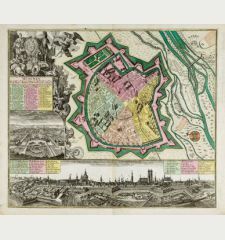 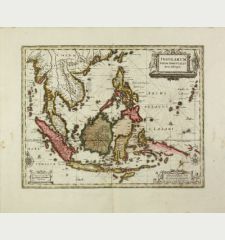 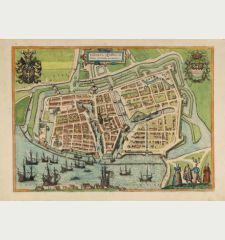 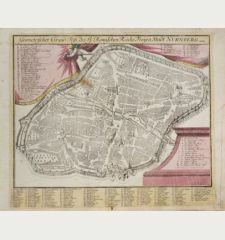 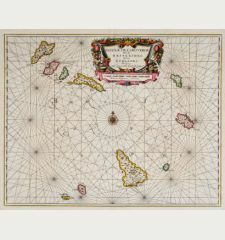 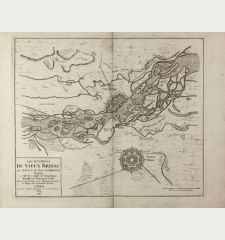 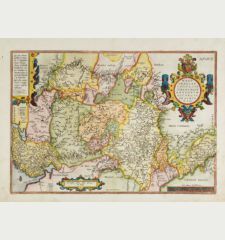 Decorative mid 17th century copper engraved map of Swabia by J. Janssonius. 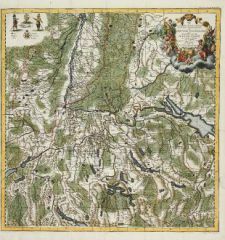 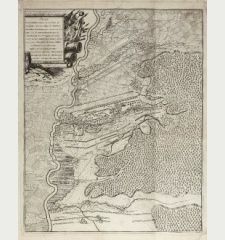 Showing the area between Heidelberg, Zurich, Landshut and Regensburg with the Lake of Constance. 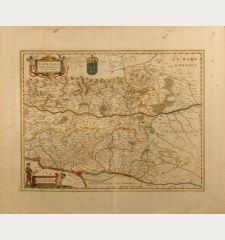 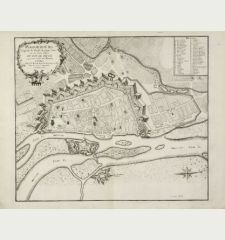 With one cartouche with a mileage scale and a key for the city symboles. 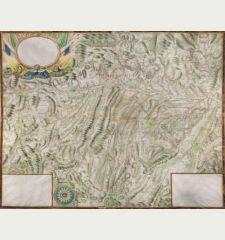 Nice hand colouring. 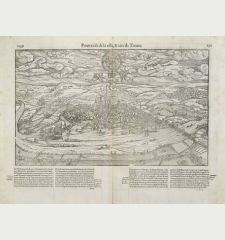 Without the text on verso. 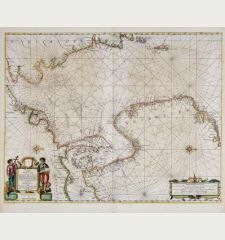 Small tear in lower centrefold backed, fine conditions.